Meet Isaac, the Goldhaven dentist. A friendly fellow with an interest in the well-being of people's teeth, and mouths. He gets a little curious sometimes, so for the larger patients, please return him to his office if he gets stuck. "Dr. Isaac does his very best to keep the residents of Goldhaven happy and healthy when it comes to their teeth. Fangs are important for the citizens of the city and they need proper treatment to keep them in pristine condition for doing what they are made to do. 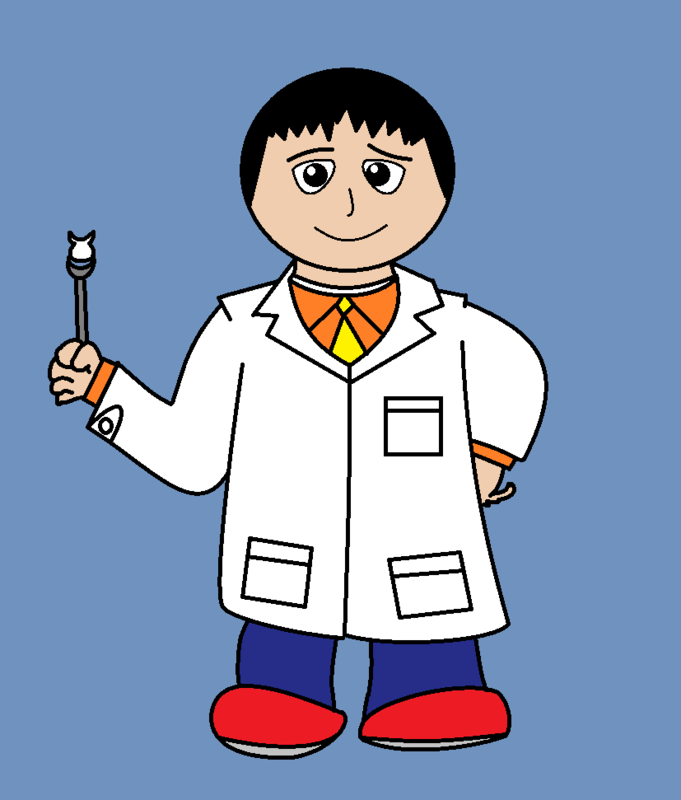 Dr. Isaac gets up close and personal with each patient and each set of dangerous, yet strong teeth. Patient satisfaction is superior and Dr. Isaac sometimes finds himself receiving much appreciation from his carnivorous patients. So remember that if you’re in need of dental care, or just a simple tooth shine or cleaning, Dr. Isaac is the Man for the job. When it comes to your Maw, Dr. Isaac's word is the Law."